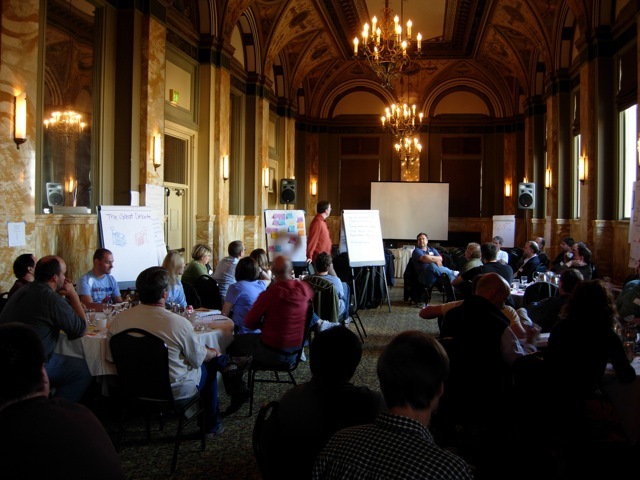 I've had the announcement up on my event calendar for a while now, but I haven't blogged it yet: in March, Diana Larsen and I are delivering our "Art of Agile" training courses in Europe. 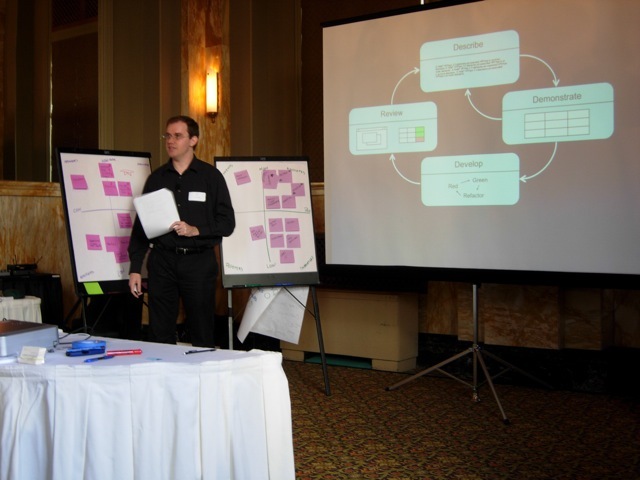 Diana and I put these courses together last year, based on The Art of Agile Development . I'm biased, sure, but I think they came out great. We had a sold-out crowd of 40 people and we got a lot of positive feedback. There are two courses: The Art of Agile Planning and The Art of Agile Delivery. We had a beautiful room last year. 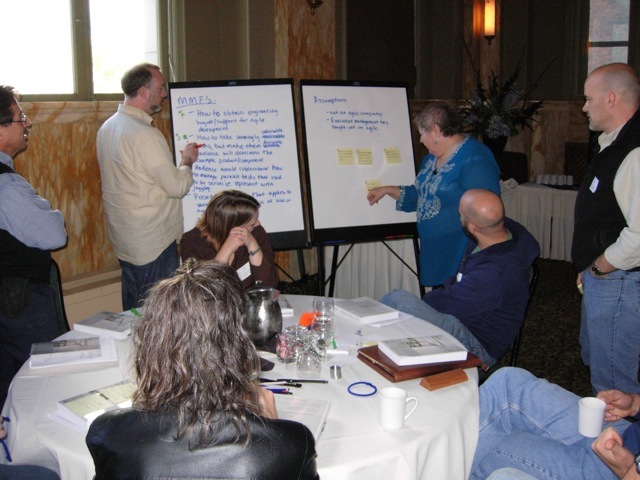 "The Art of Agile Planning" is a two-day course that covers all aspects of agile planning, from visions, to release planning and risk management, to iteration planning and estimating. Students use these skills over the course of multiple iterations as they plan an actual product--a miniature training course that we deliver. If you've ever had trouble meeting the commitments you make to your stakeholders, you need to come to this class. 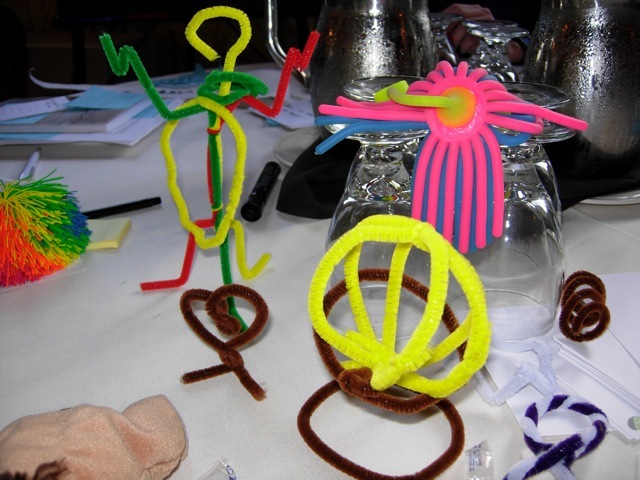 "The facilitators were excellent! I really enjoyed the 'jump in and swim' approach to applying what we learned as we went." Bill Jackson III, Senior Software Engineer, Oracle Corp.
"The Art of Agile Delivery" is a three-day course that does a deep dive into what happens during an agile iteration. It's an intensive course that replicates real agile development. We group people into cross-functional teams consisting of programmers, customers, and testers, and then we have them develop actual working software in several 90-minute iterations, complete with version control, continuous integration, and automated builds. (If you think that's impossible, you should come to our course!) Peppered throughout are lectures on topics as diverse as test-driven development, working with stakeholders, exploratory testing, and incremental design. It's an intensive class, and one you shouldn't miss. "I don't know how they pulled off the [class project], but going through four iterations brought the concepts home. Also I was a programmer wanting to learn about the project development side. Diana's four-quadrant diagrams (about stakeholders) were enlightening as was Jim's [incremental design] box diagrams and analogy of TDD to double-entry bookkeeping. Thank you!!" Jim talks about customer testing. We work hard, and we have fun doing it.